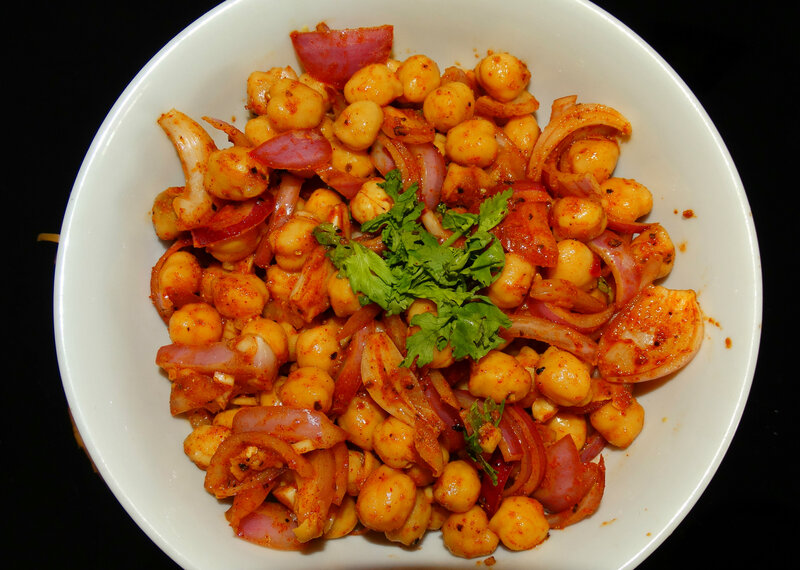 Chickpeas, given the great health benefits – rich in fibre, protein, high iron content, lowers LDL cholesterol etc is definitely a healthy option. And yes, you can always tweak the recipe to add your flavors as well as I did mine. I would love to hear your comments on this dish as well as any new flavors you added. 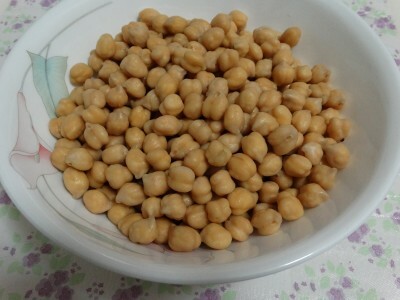 Chickpeas – 2 cups, soaked overnight (for around 12 hours) and then boiled until soft or steamed in a pressure cooker for 15 minutes. Drain the water. Step 1: Heat oil in a pan. 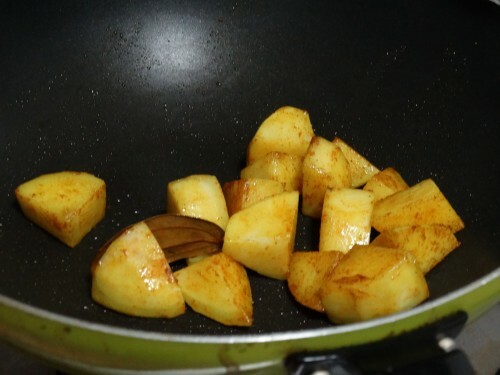 Once the oil is heated up, add the Bay Leaf and then (after 15 seconds or so) add the potato cubes along with the turmeric powder. Cook for 2 minutes. Step 2: Add the onions and cook for around 2 minutes. 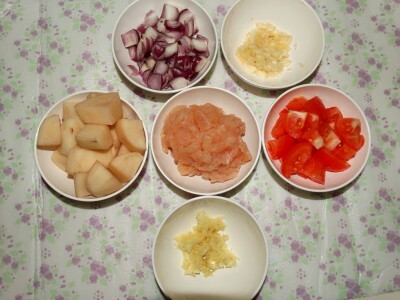 Add the chopped tomato and cook until it has softened. Add the cumin powder followed by the ginger and garlic paste. Cook for another 3 minutes. Add the coriander powder, paprika and the chili powder. Cook for few more minutes until the spices have blended in well. 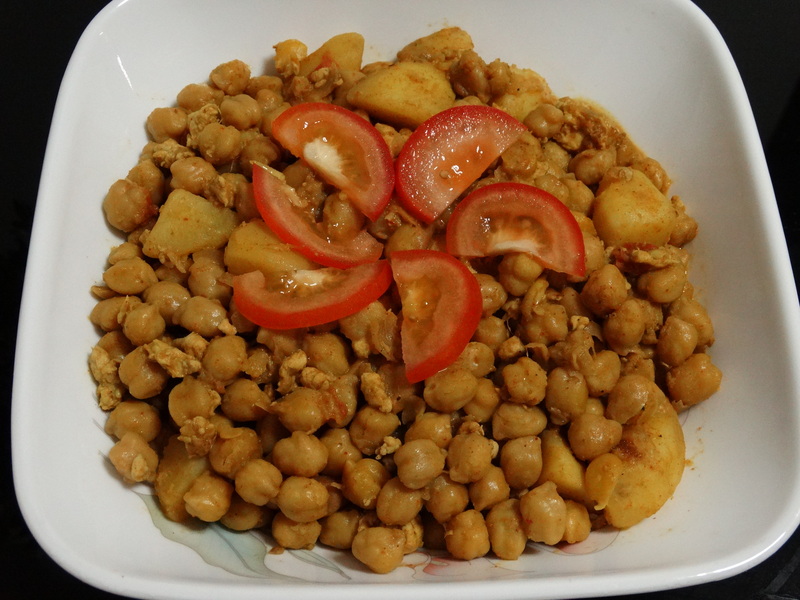 Step 3: Add the boiled chickpeas and Asafoetida powder (Heeng) and stir for another 3 minutes. Follow with the minced chicken. Add water and let the chicken cook for another 3 minutes. Add salt for taste. 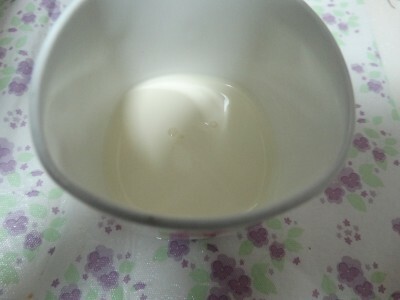 Step 4: Pour in the cream and mix well. 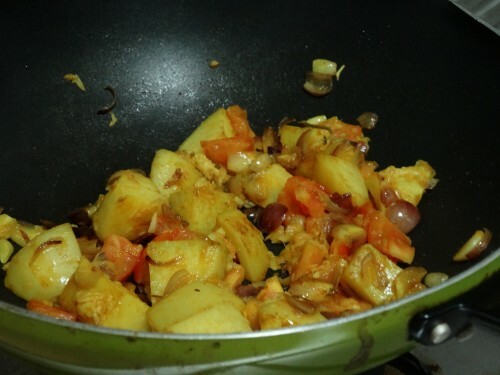 Add the Garam Masala and check salt for taste. Cook until you have the desired consistency. 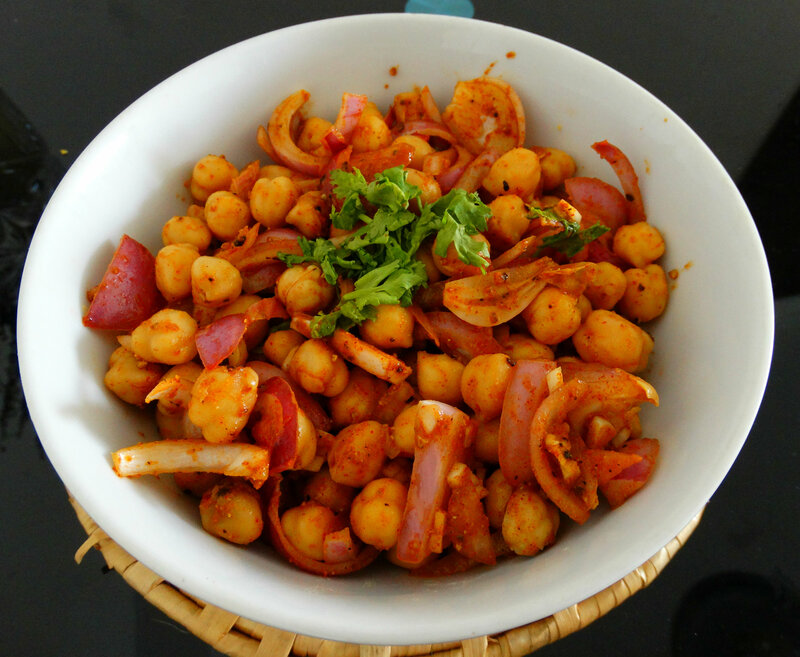 Serve hot with Indian bread (Roti or Paratha) or the bread of your choice. 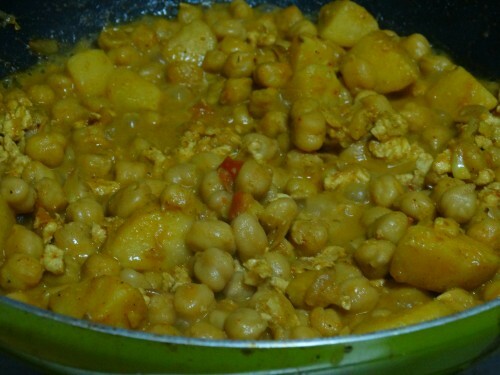 You can choose to add more of the minced chicken and less of the chickpeas as per your preference. Minced lamb or mutton would make this dish even more tasty. 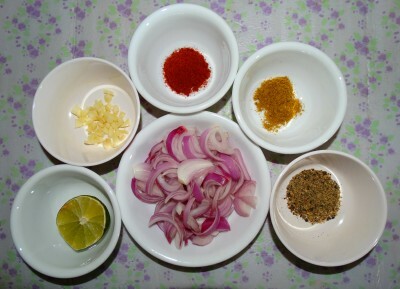 However, if you’re adding minced meat, you would need to cook for a little longer after adding the meat (until cooked). Instead of water, you can add chicken or meat stock (depending on the one you’re using) to make it more juicy and delicious. 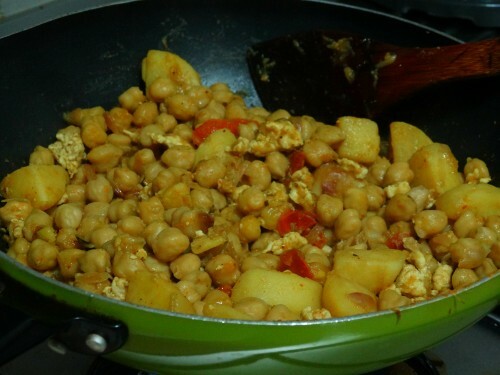 For a vegetarian option of this dish, cook the recipe as above without the minced chicken. We’re all familiar with the phrase “short and sweet”. This is what I was thinking of one afternoon as I was feeling very hungry. 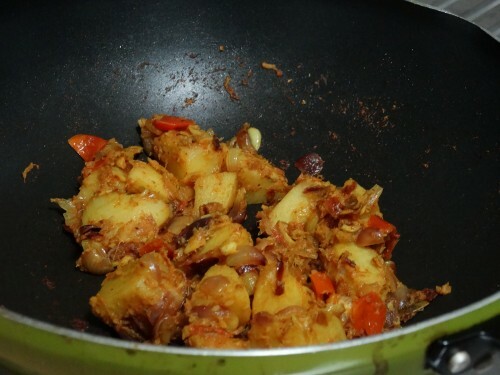 I wanted to have something prepared at home, which takes only a few minutes to prepare and at the same time tasty…. exactly like the phrase “short and sweet”. I already had chick peas boiled and kept in my fridge. So this salad was just the right recipe! After visiting Turkey, I’m really fascinated by middle eastern food. And it’s not only Turkish food, each country in the middle east have their own flavors with a subtle difference in taste. I tried a few of them in Turkey as well and Moroccan turned out to be another favorite. So I decided to try a Moroccan style salad. 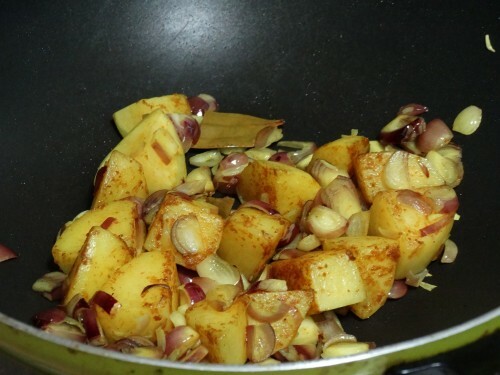 The olive oil gives a nice oily base, the lemon, paprika and onion…. all together makes it a savory snack. Step 1: Drain the water from the soaked chick peas and boil them so that they are soft but not mushy. Drain the water and remove any loose skins. 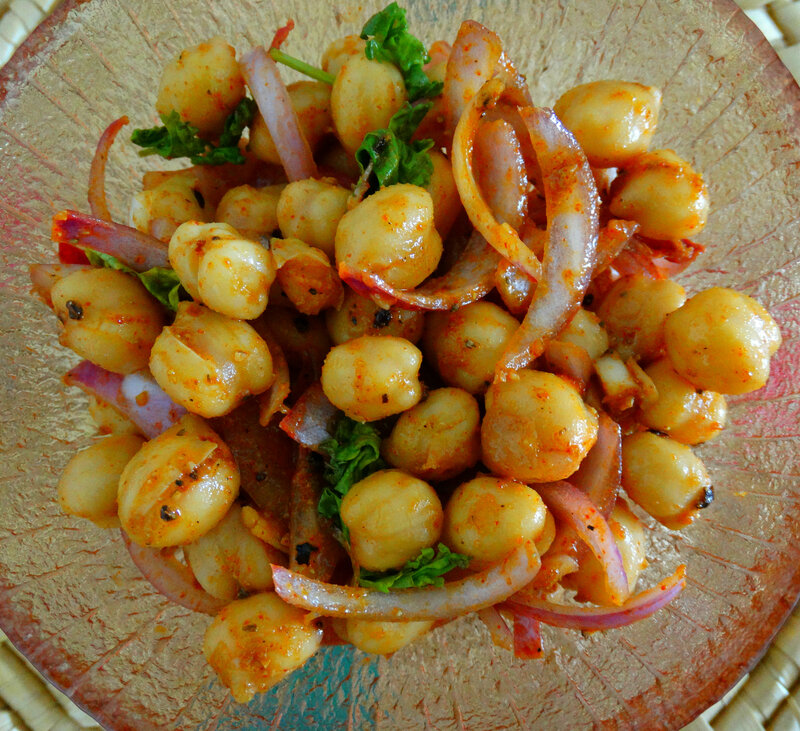 Place the chickpeas in a bowl. Step 2: Add the olive oil, onion, paprika, lemon juice and garlic, and mix well. Step 3: Add salt and pepper and mix 3/4th of the coriander/parsley leaves. 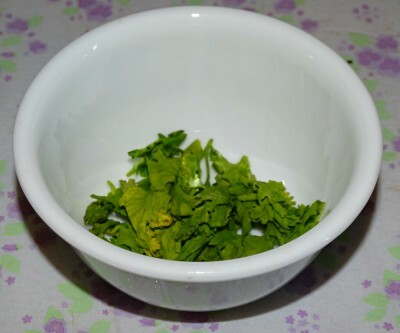 Sprinkle rest of the leaves and serve in small bowls. 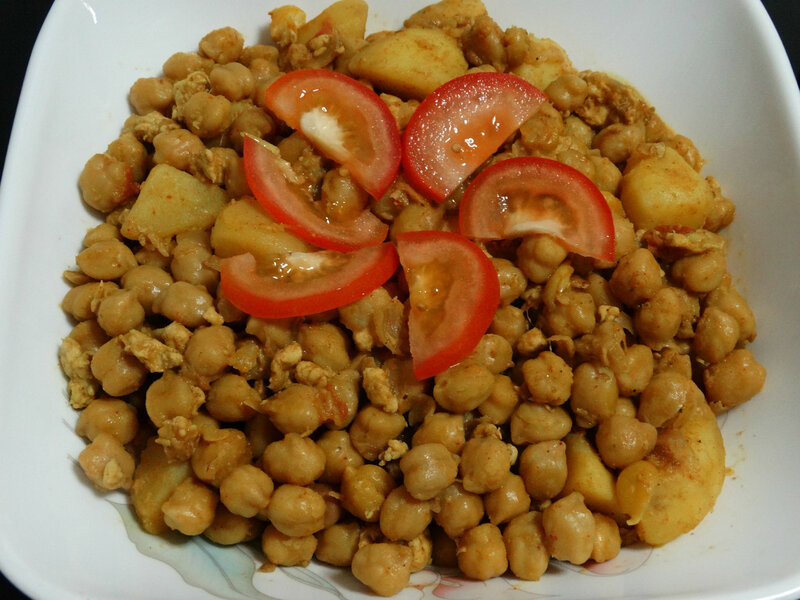 Boil chick peas and keep it in stock so that you can make this whenever needed. You can add shredded cheese as per your taste.